There is always a threat to privacy especially when messages are left for everyone to access. In this case, data criminals could capitalize on the ease to access these messages to wreck havoc on the user. Actually, locking messages on your iPhone is one way to prevent unauthorized access to messages, erase iPhone data is another means to avoid privacy leakage. Lock iPhone messages are necessary as most iPhone users worry a lot about iPhone security issues which is understandable because it could cause a lot of damage to the user. These security issues should be taken seriously and fixed to avoid the unnecessary damage that it may cause. The following are some of the common iPhone security issues. 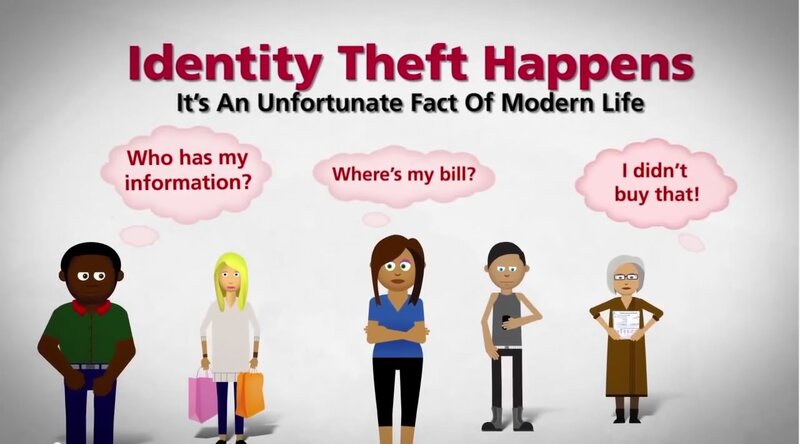 Identity Theft: There is an issue of identity theft lurking around for iPhone users and this is a source of concern. Losing iPhone: When an iPhone is lost, there are chances that it could enter into the wrong hands that could use the information against the user. Data Leaking: Data can be retrieved by other people even if iPhone is deleted through the simple means. Problem of Malware: There is a concern that some spyware could collect information from you. There is a password setup provided by iPhone to enable users safeguard their messages and protect their privacy. The following are the required steps for lock text messages on iPhone. However, to Lock Text Messages is Not Enough, you must Permanently Erase Your Private Text Messages to avoid privacy leak. Step 1: Go to Settings on your device and tap “General”. Step 2: Select the Password Lock Option. 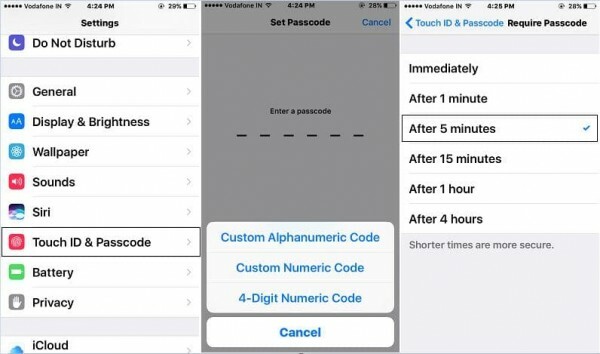 Step 3: Tap on “Turn Passcode On” and enable the security features. Step 4: Enter a Passcode of your choice. Remember your passcode must be one that is not easily acquired by an unauthorized user. 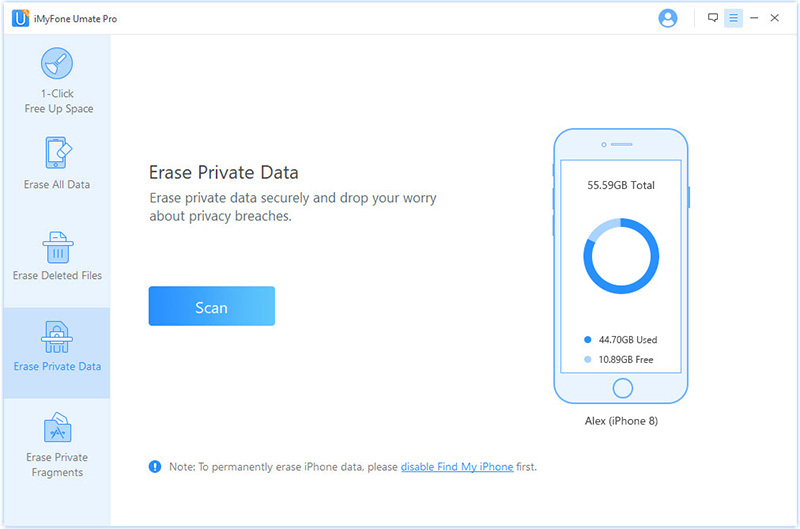 One of the best options iPhone users can use to avoid privacy leak is to erase their data and the best tool to achieve this is that iMyFone Umate Pro or iMyFone Umate Pro for Mac. 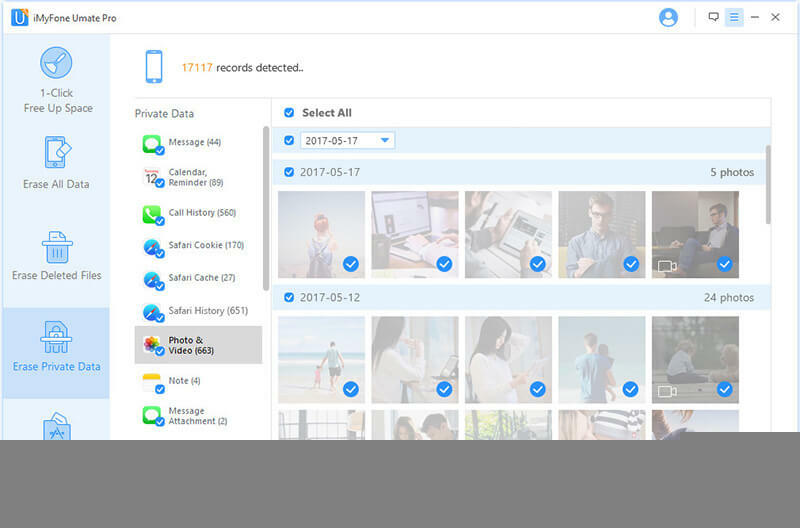 This tool is the most recommended when privacy protection is very important as well as saving up storage space for your device. It is loaded with a lot of important features as we can see below. Erase Texts: Perfect for erasing your text messages to keep your privacy safe and avoid data criminals. All erased text messages cannot be recovered by any data recovery tool. Erase History: Has an advantage of erasing any type of histories on your iPhone. For example, you can erase call history, safari history, and even previously deleted data done by simple means. Erase Images and Videos: Your private photos and videos could fall into the wrong hands if left on your device. Umate pro erases them to ensure that your privacy is protected. Erase Third Party Apps: Can erase third part app fragments that are left on your device. It is also capable of erasing WhatsApp and WeChat messages as well as attachments. Umate Pro is fully compatible with iOS 11 and receive lots of positive reviews from macworld.co.uk, Makeuseof.com , Cultofmac.com etc. Step 1: Download the program and connect iPhone to the Umate Pro. Step 2: Choose the "Erase Private Data" mode for the task. Step 3: After scan, your txt messages will show up. Select the one that you intend to erase. Then tap "Erase Now". You can also try "Erase Deleted Files" mode to erase deleted messages. If you choose "Erase All Data" mode, not only messages will be erased, but also the reset of data on iPhone will be erased. Why Should You Permanently Erase Private iOS Data? It is important to understand that simply deleting your private iOS data is not enough because it does not protect your privacy. Data deleted through the simple deletion method can be retrieved with data recovery tool. However, erasing your private iOS data with top tools like Umate Pro ensures that it is permanently erased and cannot be retrieved even with the best data recovery tools.